HM-34: Displays temperature and RH%. Accuracy ± 2% RH. 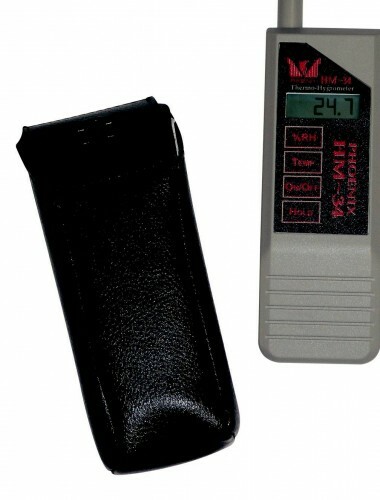 This meter set the standards for accuracy and reliability. Comes with a retractable slide probe. Power Off: Automatic, after three minutes unless HOLD is activated.